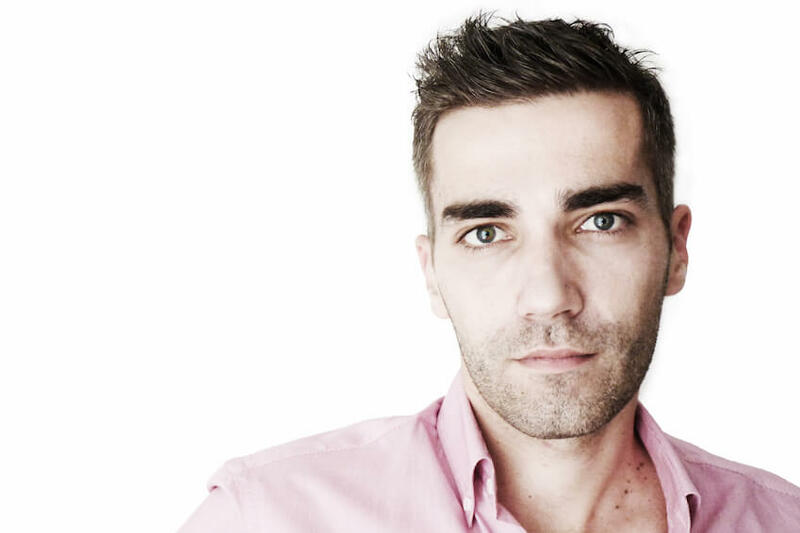 Interior designer and architect, Sebastien Belle is demanding with his profession and his passion for shapes and space. Based in Lyon, and certified by the French Council of Interior Architects, he specialised in creating living spaces (apartments, villas). He gives us a few moments of his time to discuss his job and his inspirations. Villanovo: Sebastien, the profession of interior designer, choice of reason or choice by passion? Sébastien Belle: As a child, I wanted to become an architect. Then, in adolescence, I turned to design. I had fun drawing futuristic everyday objects. A little later, I discovered the profession of interior designer who physically reconciles architecture and design. From then on, it became obvious. What is your career (school, professional), and the choices that led you to your job? After the bac, I naturally enrolled at the School of Interior Architecture of Lyon. I was fortunate to be able to work very early and, parallel to my studies, in several architect's offices. First with Jean-Yves Arrivetz in Lyon, then at Atelier Jean Nouvel in Barcelona. At the end of my studies, I joined the agency Vielliard & Fasciani in Marseille. 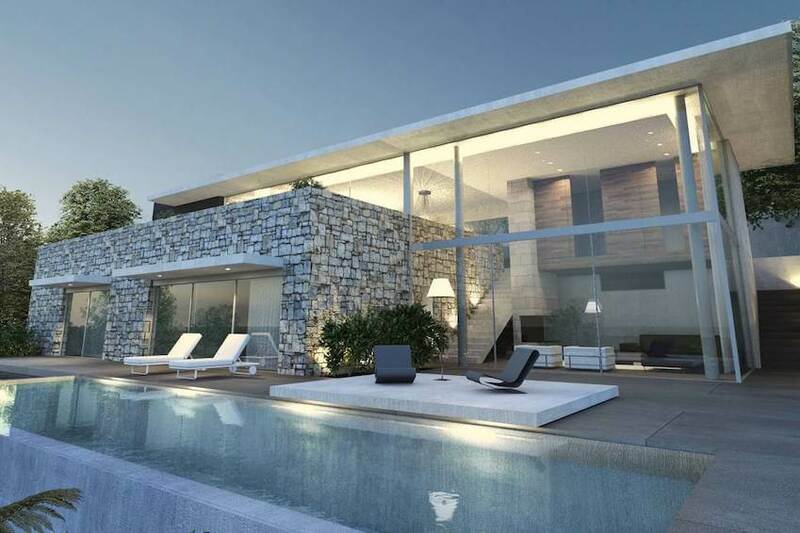 After having worked on many large buildings, we were interested together in the contemporary house. And that did not leave me anymore. Who were the people who contributed to your taste of the trade, those whose creations animated you? Very early in my apprenticeship, I was lucky to be able to observe, very closely, big projects like Torre Agbar with Jean Nouvel and the Cité Internationale with Renzo Piano. Their sense of detail impressed me a lot. Their approach to design and creation has brought me a lot. Even today, your job is a little fantasy. But what are the real missions, what is your place in a project? Working almost exclusively for individuals, the job is quite complex. Each project is different. We find our pleasure when the technique, the meaning and the creation are on a point of balance where none of them lose in quality. It's very full on. More concretely, the houses I work on are the result of close collaboration between architects and interior designers. The first lines are drawn together. We can no longer conceive a house without starting from the inside. It is not an empty shell that is filled, it is almost the opposite. Mies Von Der Rohe had a phrase that resonates with all architects; "Form Follows Function", the form follows the function. Form is nothing if it does not make sense. There is the technique and the work of creation. In your opinion, is the architect an artist or a craftsman? We are in a perpetual process of creation. The technique is part, in its own right, of creation. That's what makes this job exciting. Both go together. A line is easy to draw. Still, it must be superimposed on the concrete. This reminds me of Michelangelo's David, from a huge block of white Carrara marble, the most fragile of all. There is a crazy technical complexity between mastering the veining of the marble and the sway of the weight of the form by the sculptor. And yet we only see Art. In short, the perpetual debate between the artist is the craftsman will always exist. But in general, the architect, never reproducing the same patterns, must be considered as an artist. However, the word artist leads to many contemporary connotations to which the work of an architect is not related. The house of an individual is part of his privacy, so there is a part of abandonment when you ask another person to work on its interior. On a project with your customers, how do you consider this aspect of the work? It is a special relationship that takes a little time to establish itself. To do well, we must immerse ourselves in everyday life and therefore the privacy of our customers. There are many exchanges. Whether at design or execution. There is a permanent work of explanation. We explain each step and each bias. As the project progresses, the client must remain in control of their space. We are just guiding it. In view of your creations, it seems obvious that your aesthetic signature has a very contemporary, graphic, refined... While you have recently started to work in Africa (Marrakech), where everywhere, the interiors are loaded by tradition, by folklore, how do you combine the two crafts? It is precisely the outline that allows the development of objects. Our clients often have collections or objects of art and local crafts. Our concern is to bring them to light. The contrast between the object and its environment distinguishes and values ​​it. How do you envision the work of forms and materials? In which part of the process does this occur? From the beginning. From the first strokes. It is a whole. The material and the shape must make sense in the architecture. They support the proportions, the functions and, above all, the type of sensuality desired. Do you travel? What places and experiences have marked you and influenced your work? Travel is necessary in any creative profession. This is the first source of inspiration. We are constantly looking for new sensibilities. It is the moods and atmospheres that feed the unconscious. 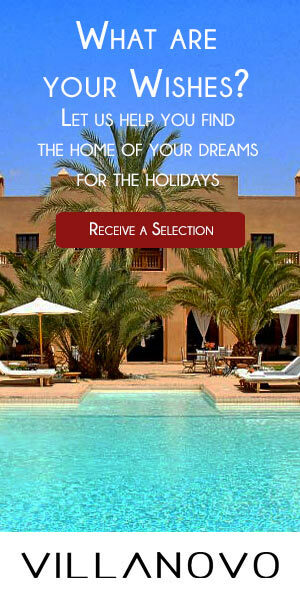 Personally, the atmosphere of the riads of Marrakech impressed me a lot. In the midst of the din of the Medina, there reigns a serenity and a magnificent pleasure. In a very different genre, the convent of the Tourette du Corbusier deeply marked me by the narrowness of the link between architecture and function. I am very sensitive to the notion of "passage" in architecture. I like this theory that an architecture can be summed up in passages from one space to another. We really feel it in this building. It is very prominent. This creates a pretty indescribable feeling of initiation and discovery. ...more and more crazy things... and more and more abroad. Word of mouth is fast and surprises us. Perhaps this is due to the effectiveness of new media. Today, we have the chance to choose our projects. It's a crazy luxury in this troubled period for architects. We savour. Finally, do you have quick tips to share to revitalise your interior? Each space has its own universe, because it is linked to a personality and an experience. It is difficult to develop generalities. Perhaps two immutable rules: to think of all materials as a vector of sensuality and to take care of transitions of spaces. The rest is a matter of self, sensitivity and, unfortunately, fashion. You can find more information on: http://sebastienbelle.com/!